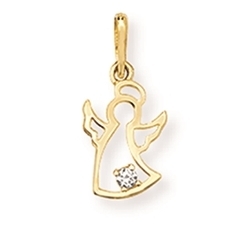 Perfect for adults or children, this delightful real gold Baby Angel has a small CZ built into the design. Size: 1.5cm. Comes complete with a gold chain. Actual size: 1.5cm.